 Orange County is an incredible place to raise children, and Laguna Niguel is one of its safest cities. This city has neighborhoods where you can find good schools, low crime rates, and pleasing amenities. Most young professionals live in this town. Laguna Niguel has beautiful weather and various amenities that families can enjoy. The city has incredible views of the ocean, a nature preserve, theaters, and a park. House costs may be expensive, but you get what you pay for without regrets. If you’re a parent with many children, it’s important to choose the right place to raise them. Of course, you need a safe and secure place for the family. In Laguna Niguel, raising a family won’t go wrong as its one of the best cities to raise a family in Orange County. Check out some of Laguna Niguel’s best neighborhoods for raising a family. Rancho Niguel is a well-maintained, pet-friendly and peaceful community. About 80% are homeowners in this neighborhood with mostly single-family type houses. There are also a lot of children living in this neighborhood. Most of these go to one of the best public schools in Orange County – the Marian Bergeson Elementary School. Rancho Niguel Park is also a great recreational place for the family. A tot lot with wood chips, a shelter, and a restroom can be found in this 3.8-acre park. There are fields for playing soccer, softball, and baseball. You won’t worry about having a great family gathering here because the park has various amenities to offer. The park has barbecue areas, picnic tables, and drinking fountains. There’s a wide parking space that also has wheelchair access. If you have the money and want to raise your family in a luxurious neighborhood, you can opt for Marina Hills. This community offers several amenities that every family can enjoy. The community clubhouse has an Olympic size pool, a tennis court, and a barbecue area. There’s also a spacious field where your family can play soccer and have a good time. 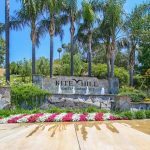 Another premier community in Laguna Niguel is Beacon Hill. This gated community lies off Golden Lantern and Beacon Hill Way. It has a population of about 6,000 residents with a median household income of about $121,000. Beacon Hill has a variety of amenities available to residents living here, including beautiful pools, and tennis courts. The 5-acre Beacon Hill Park features a well-maintained soccer area, picnic tables with shade and a playground with a rubber surface. This neighborhood is also close to hotels and beautiful beaches. It’s not far to enjoy good beach time with the entire family here. You can find the Beacon Hill KinderCare where friendly teachers can mold your child’s development as early as six months. Kids can have a fun, healthy, and safe foundation here. On the border of Laguna Niguel and Aliso Viejo lies the community of Kite Hill. This hilltop neighborhood has a lot to offer for anyone who wants to have a forever home. There are about 300 Spanish-style detached homes with house sizes ranging from 2,000sq.ft. to 3,500sq.ft. You can also find many cul-de-sac houses and view lots. Kite Hill in Laguna Niguel is near the Aliso Water Management Agency (AWMA) which is right next to the IHOP Restaurant. You can get breathtaking views of the Laguna Niguel Regional Park. Many people also go here to get an excellent view of the fireworks every 4th of July. Your family will have lots of fun in this neighborhood. If you’re fond of flying drones and remote-controlled aircraft toys, Kite Hill’s grassy areas and small runway can give you the convenience. When talking about education, schools in Kite Hill are Capistrano Unified schools. Moulton Elementary School is an excellent school for primary learners. Aliso Viejo Junior High offers education for 6-8 graders and the Aliso Niguel High School for grade 9-12 students. On the northernmost foothills of Laguna Niguel lies the gated community of San Joaquin Hills. This master-planned community has four remarkable subdivisions or enclaves. A total of 910 housing units are developed in this community. There are around 2,800 residents in this community. If you prefer to live in single-family type house, San Joaquin Hills is a good option. The houses have a variety of designs and styles. Housing costs here ranges around $900,000 – $1,700,000. The well-maintained and peaceful community of San Joaquin Hills offers 24/7 security. It’s a significant factor to consider for people who want to raise a family. There are various amenities provided for the residents like pools, jacuzzis, barbecue areas, and a basketball court. Its own Community Association maintains the community centers, landscapes, and its facilities. Traveling with the family is always fun. It’s a great bonding moment and an incredible way for families to create beautiful memories. But it’s also important to plan a trip carefully and prepare for various happenings to ensure the best family trip to Laguna Niguel. Circumstances are always beyond anyone’s control even though the family has done safety procedures. For protection against sudden or unwanted incidents, extra measures should be made when traveling with children. Planning several months before the date can also properly prepare you for the trip. It’s always better to make sure that you have insurance for your travels. Even though you take safety precautions in your travels, accidents can still happen. Travel insurance is essential to guarantee financial coverage for anything that could occur during your holiday. Try to find the best insurance provider that can give more financial coverage way early before the scheduled vacation date. 2. Choose the right place to stay for the family. One of the first things you’d think of when planning a family trip to other places is your accommodation. When you search for a place to stay, you’d probably think of safety and convenience for the family – like living in a second home. Your detective skills may come handy when you’re looking for the right place to stay for the family. Search for the nearest accommodations and carefully check the inclusions of the place and client reviews. If you need detailed information, you should find the contact number of the hotel/inn and inquire about its amenities and security measures. 3. Gather facts about the holiday destination. If you’re planning a family trip to Laguna Niguel, you should know the facts and rules of the city. You can visit the city’s official website for traffic rules and other important facts about the city. If you wish to visit parks and nearby beaches, you should also be aware of the Do’s and Don’ts of these places. Check for weather facts, travel and health warnings issued by the city’s government. There are various means to gather information. 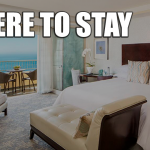 You can browse the internet, social media, and ask people who have visited Laguna Niguel. Coyotes can be seen roaming around neighborhoods, and you should know how to deal with coyote sightings. Remember that you’re bringing your family with you. It’s also best to be cautious of your surroundings in Laguna Niguel. 4. Get important documents ready. Permits, valid IDs, birth certificates, and vehicle registrations are some of the commonly required documents when traveling. It’s best to photocopy these documents and save scanned copies of these papers in your email or cloud storage. 5. Make communication lines open at all times. Communication has never been this easy in this modern world. So, it’s not really an excuse that you don’t keep your lines open especially during family trips. Make sure that everyone who’ll go for a family trip to Laguna Niguel should bring their mobile phones with them. This makes everyone in the family easier to contact when necessary. These are some of the safety tips for planning a family trip to Laguna Niguel. Have an enjoyable family bonding moment in this beautiful city without worrying about anything. 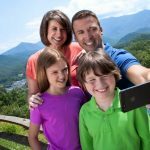 You can follow these family travel safety tips and be well-prepared for a grand holiday from the moment you and your family step out of the house to the moment you guys come back. Orange County nestles between the Pacific Ocean and the mountains of Santa Ana. 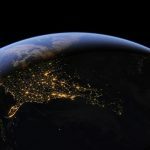 While Orange County stands out with all its incredible and family-friendly destinations, it has become a favored residence for most people all over the world. Laguna Niguel is one of the OC cities offering family-friendly neighborhoods. This city also has excellent locations for all lifestyles. With its laid-back atmosphere and panoramic views, it must all be worth a holiday break or even living here. Are you thinking of moving to Laguna Niguel? It may look like a residential and suburban town, but Laguna Niguel has a lot to offer. This beautiful city has whatever you and your family needs. If you like a good view of nature and living in a place with a laid-back, small-town vibe, Laguna Niguel is an excellent option for you. Situated in the San Joaquin Hills, Laguna Niguel offers beautiful landscapes and magnificent views of the Pacific Ocean. More than one-third of Laguna Niguel is an open space which is divided into many upscale gated neighborhoods. This city is also known to be safe and secure. The violent crime rate here is low – only 20.2 compared to the US average (31.1). Laguna Niguel property crime rate is only 16.0 compared to the US average of 38.1. If you like to live in a safe, clean, well-maintained, and peaceful neighborhood, consider living in Laguna Niguel. Do you like a good walk under the sun? Laguna Niguel is one of the best places to enjoy a good sunbathing time. The city also holds various fun activities during warm seasons. You’ll never regret going for a vacation or a fun trip here because of it’s favorable weather. In Laguna Niguel, summers are short, warm, and clear. Winter seasons are usually long, cool, and partly cloudy. Typically, temperatures vary between 49 ° F and 78 ° F during the year. Rarely do their temperatures fall below 43° F or above 86° F. This assures you of fair weather any time of the year. You won’t worry about unpredictable weather that can affect your vacation or short trip. A peaceful and quiet community is what most families desire, and the beautiful city of Laguna Niguel can be a great option. This well-maintained neighborhood if graffiti-free and nightlife are only until 9 PM. You can have a good night sleep, and you can keep yourself away from bar fights or street fights. The beautiful, hilly landscape of Laguna Niguel is also a favorite spot for most health conscious people. Here, you won’t be alone walking and exercising outside because you might be in company with other joggers or runners. Plus, this safe and gated community allows you to enjoy various outdoor activities. You can also bring your pets for a walk outside. Beautiful parks and hiking trails surround Laguna Niguel. Most people here love to walk their dogs outside, not only because it’s safe and clean, but the sunny weather is just perfect here. You may have known that properties near the beach are expensive. But if you wish to retire near the beach, Laguna Niguel is a few miles away from the sandy beaches. Houses in this city have lower prices compared to its neighbor cities like Laguna Beach and Dana Point. 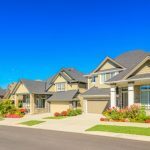 In Laguna Niguel, the average price for homes is $ 685,700.00, while the average rent is $ 1837.00 for an apartment with a single bedroom. As you know, owning a house near the beach is quite expensive. So, you’d opt for places to reside where it isn’t far from the beach. Laguna Niguel is a great location as it’s near coastal cities like Laguna Beach and Dana Point. The town is accessible by various means of transport. Moreover, the beautiful sandy beaches of Orange County are approximately 8 miles away. You can enjoy a pleasant stroll by the beach, sunbathe, surf, and skim. At the beaches of Laguna Beach and Dana Point, you can witness the beauty of sea creatures. In the summer months until the end of November, Laguna Beach and Dana Point have Humpback Whales, Minke Whales, Finback Whales and different species of dolphin feeding here. You can go to Dana Point for whale-watching and get to see the largest animal on the planet, the Blue Whale. Do you wish to improve your way of living? Most residents’ health lifestyle in Laguna Niguel goes beyond whether they have easy access to quality and affordable healthcare services. Laguna Niguel’s government takes into consideration the choices of the residents to have a healthy lifestyle and lower their health risk. In Laguna Niguel, 89% of adults don’t smoke, 80% of adults have a BMI of less than 30, and 81% of adults have health insurance. Also, 85% of the residents here spend their leisure-time by doing physical activities. Isn’t that good news for you? You’ll never be alone in your fitness goals here. Laguna Niguel can motivate you to achieve your health goals if you want to live a better life and engage in healthy living. Heart’s day is here again! You might be thinking about having reservations for you and your loved one. It’s a good thing that southern California has unlimited options for lovebirds. You can hit the spa for a day of relaxation. Enjoying vacation here is also ideal. If you like to keep it simple, having an intimate dinner with your loved one would be a great experience too. Are you thinking of bringing your date to one of the best romantic restaurants in the city? Then book your table at Hendrix Restaurant and Bar. It’s one of the newest restaurants in Laguna Niguel. It has opened in 2017 and now serves the best tasting cuisines in town. This February, this place offers its delicious Valentine’s Day menu. For only $69 per person, both of you can enjoy a lovely champagne toast in this fancy place. Enjoy your first and second course of the meal and continue with desserts and many more. Reservations are available through the phone or Yelp. Large parties are also welcome too. If you’re up for rotisserie meats, this place is the one for you. It also serves yummy Rosemary and Lemon Roasted Chicken, Colorado leg of lamb, and Porchetta. On usual days, this restaurant serves many other small plates, soups, salads. You can also order seafood and steak here. From the best small plates to the most delicious seafood entrees, you’ve got Tastes of Greece to serve you. This place welcomes guests for lunch and dinner. Takeouts and catering services are also available. On Valentine’s day 2019, it’s also a place that tops the list of the best romantic restaurants in Laguna Niguel. If your loved one is up for Greek-inspired cuisines, you should definitely book a table here. Mood setters here include yummy appetizers with a hint of Greek flavors. There will also be salads and soups plus seafood entrees for you. Grab delicious bites from one of the famous Italian restaurants in Laguna Niguel. This place is known for its impressive services and dishes. On Valentines Day 2019, consider this place as a fantastic choice for your date night. Experience the wow factor here as you enjoy a fancy dinner for a reasonable price. It’s a casual place in which parking spaces welcome both cars and bicycles. Tucked away in the corner of Laguna Niguel is a warm place called Bistro K. This place offers home-style breakfast and lunches. Countless batches of freshly baked treats are available here every day. On Valentines Day 2019, you can take your loved one here and let them enjoy the old world flavors of Osso Buco, Scampi Marchesi, and Linguine Frutti DiMare. New World favorites like Pan Seared Asian Salmon, Three Cheese Baked Macaroni, and Prime Rib are also enjoyable here. Have traditional Italian meals best enjoyed in this romantic restaurant in Laguna Niguel. Talk about a historical and romantic restaurant in Laguna Niguel, and you’ve got Mangia Bene Cucina. It has opened in 1991 and offers delicious Italian dishes. With its upbeat and vibrant staff, every dining experience here is hassle-free and memorable. This place serves lunch and dinner specials. Let your loved one enjoy yummy choices off the menu. You’ve got Antipasti, Insalata, and Pasta choices. If your loved one is a fan of Panini, Risotti, and Gringlia, then you’ve got to try this place this Valentine’s day 2019. Love. It’s that feeling you get when you’re smitten with another human being. Love is a tender affection you share with your beloved, and hopefully, it lasts a lifetime. Love is deep, profound, and intense. Love is in the air as it’s almost time again for Valentine’s Day! The whole town will be filled with flowers (especially roses! ), chocolates, stuffed animals, and hearts everywhere. Restaurants will be fully-booked, and love songs will fill the air. For lucky people who have special someone in their life, this day is the best time to become extra in showing their love and adoration. You can go and buy the usual sweet stuff or prepare for some romantic surprises. If you’re out of idea or unsure of what you can do for your loved one this Valentine ’s day, we’ll help you out. 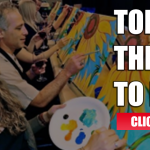 Here are some of the best ideas to celebrate Valentine’s Day 2019 in Laguna Niguel! Who doesn’t want to receive a bouquet of beautifully-arranged roses on this day? Choose from different colors of roses or pick another flower that may perfectly show your adoration for your loved one. 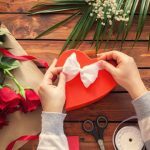 In Laguna Niguel, there are a lot of flower shops that will help you make a sweet surprise to your significant other this Valentine’s Day 2019. They can deliver around the city, or you can pick it up and deliver it personally. It’s up to you how to make the gesture extra special. Book a romantic dinner at a fancy restaurant. Have been eyeing on a fancy restaurant but never had an excuse to go? Well, what better reason to dine at a posh eatery than by making a reservation for Valentine’s Day? It’s time to book a table for two in any of the romantic and fantastic restaurants in Laguna Niguel. Order a couple of main entrees and share on a sweet dessert with your loved one to level up the love you’re feeling. Make this day an excuse to wear your best suit and treat your lady dressed with class the best way you can. Food and fine dining can undoubtedly complete an evening of romance. 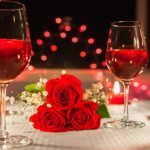 Check out the romantic restaurants in Laguna Niguel you can book a reservation in advance for Valentine’s Day 2019. One of the tested romantic dates all around the world is movie night! Yes, I agree that there’s no place like home, but you can forget about an at-home movie night and go to the theaters. It creates a more romantic feeling that makes the occasion meaningful. Pick a movie flick that you and your partner both love. Grab some popcorn and drinks. Enjoy the latest film in these movie theaters in Laguna Niguel. Relax with your partner at the spa. Imagine being in a place where you can receive a lot of pampering, wonderful right? What more if you can spend a relaxing day with your significant other on Valentine’s Day? If you want to amp up your usual Valentine’s Day celebration, you can find a lot of spas and massage parlors in Laguna Niguel. Book an appointment for a couple massage and other pampering services you’d love to try with your partner. What makes an occasion like Valentine’s Day amazing is when you do something, you don’t do every day. So here’s a great idea to celebrate the Heart’s Day with your loved one, a mini getaway. 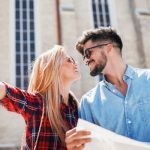 If you’re in Laguna Niguel, it’s easy to plan a romantic escapade on Valentine’s Day since all the other cities in Orange County are accessible. You can drive a couple of miles to Dana Point and enjoy the beach and all the other water activities. Other great cities to go on a day trip are San Juan Capistrano, Mission Viejo, Anaheim, San Clemente, Laguna Beach, and more. Make sure to research all the things you can do before going on a day trip on Valentine’s day to make it memorable and romantic! Here goes Valentine’s Day again. Whether you’re a romantic person or not, there’s no excuse in not feeling the heat of this season. As love clouds the air again, lovers start planning what goes on during February 14th. Some couples opt to stay at home, while others decide to go out and explore. A number of couples don’t plan anything at all. While there’s no right and wrong way to express affection, a little goes a long way when it comes to love. If you’re planning on surprising your loved one with a well-planned mini-vacation in SoCal, you’re on the right track. This region boasts year-round tourist attractions. From beaches to its vibrant local scene, you’ve got things to enjoy here. Talk about a city that boasts restaurants that offer the different tastes of the globe, and you’ve got Laguna Niguel. This Valentine’s season, look up some of the city’s best romantic restaurants. You’ll never run out of choices. Whether you’re up for fine dining experience or you prefer the casual ones, you’ve got choices here. One of the most familiar places would be Hendrix Restaurant & Bar. This restaurant conveniently sits at the heart of the city. It offers its Valentine’s Day menu for only $69 per person. Check out their menu online and see if it fits you. Another restaurant you can visit in Laguna Niguel is called Tastes of Greece. This place is typically open from Mondays to Saturdays. On heart’s day, it especially welcomes couples with its special menu. It’s a restaurant that’s known for its exquisite tastes and professional service. Enjoy a night of catching up with your loved one as you dine in one of the best food destinations in Laguna Niguel. Experience healthy breathlessness with your loved one as you reach the peak of Laguna Niguel’s hiking trails. This city has some of the most challenging and captivating trails and views in the region. One of its notable views can be enjoyed at the Top of the World Laguna Niguel. It’s a famous trail in Laguna Beach, and you can reach it through various entryways. You can drive through Talavera Drive and reach its foot. Its commanding views of the ocean attracts tourists from across the city. Don’t miss the chance of enjoying them with your loved one. This Valentine’s day, catch yourself falling in love all over again with nature as you travel hand in hand with your soulmate. One of the most known features of Laguna Niguel is its lake. It’s a 44-acre lake that’s stocked with various types of fish. This Valentine’s season, you can keep it simple by enjoying this destination with your loved one. This lake sits within Laguna Niguel Regional Park. It has picnic areas fit for everyone who wants to enjoy basking under the sun. There are shelters, sinks, picnic tables, and barbecue stoves electrical outlets here. Call it cheesy, but this place witnessed lots of love stories too. Yours would be a good addition. Valentine’s day – the sweetest and most romantic day of the year is about to come. It’s during this time when most people wear their hearts on their sleeves. 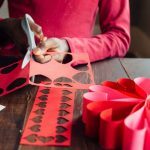 Love is in the air as we see the town brimming with romantic gift ideas, heart-warming melodies, and people painting the town red. One can daydream about this fast-approaching event. So, what are your plans? You’d probably be overwhelmed looking at a long list of romantic ideas. You can be a Jack for your Rose or a Clark for your Lois. There are many ways to bring this enchanting moment to life. Laguna Niguel offers a myriad of ideas on how to celebrate Valentine’s day. 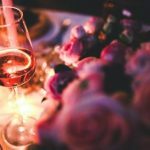 We’ve curated a few smart ideas to help you plan the best Valentine’s Day 2019 date in Laguna Niguel. Valentine’s day may fall on a weekday, but this doesn’t hinder you from putting your romantic side away. Sometimes the best way to demonstrate your love to your partner is by doing things the simplest way. So, how do you do it? Look around your house and plan how it’ll look romantic. Pick beautiful flowers and put them in vases if you have a bloomed garden. Perhaps, decorate your home with dim lights and candles everywhere. Just make sure you’re not going to toast yourselves inside the house! Cook a hearty dinner for two. Write a love letter or a sweet note expressing your love to your partner. One wise thing to do is surprise her with a bouquet at the doorstep. Sure, she’ll stretch her smile to her ears. You guys may want to pamper those tired and aching muscles after a long day’s work. Treat yourselves to a massage or beauty spa clinic at Laguna Niguel. The Relax Body And Mind Spa offers budget-friendly spa sessions for couples. Take advantage of their VIP offers and gift certificates for affordable and worthwhile spa sessions. These offers can help you with your costs the next time you guys pay a visit. If you want to experience an Asian spa and massage session, try going to Thai Body Works. They offer different massage techniques, such as Swedish, Fusion, Herbal, and their signature, Thai massage. You can choose a relaxing and rejuvenating session for 60, 90 or 120 minutes. The hardworking legs also deserve to be pampered! You can have a 60-minute foot scrub and reflexology at an affordable price at Thai Body Works. Well, after a long working day, you both deserve the best spa time! Isn’t it a wonderful feeling to be with your significant other around nature? For couples who love nature and outdoor activities, Laguna Niguel offers fun reasons for an adventurous Valentine’s Day celebration. You can go fishing at the Laguna Niguel Lake. The lake stocks trout, bass, catfish, and bluegill. It’s open to the public, and you don’t need to pay to fish. However, there’s a $3 entrance per person on weekdays. You guys can have a fun fishing activity while celebrating Valentine’s day. If you opt to enjoy the scenic views of Laguna Niguel, you can spend the special day at these awe-inspiring places. The Sulphur Creek Reservoir Loop offers wonderful scenery around the Laguna Niguel Lake. While most people walk here to find the perfect lakeside fishing spot, others enjoy walking around this place as an afterthought. Spending time here is like hitting two birds in one stone – decompressing after a long day at work and having a beautiful Valentine’s celebration with nature. Laguna Niguel also boasts the Niguel Botanical Preserve, a beautiful and tranquil garden with lots of stunning views of nature. This place offers an opportunity to get away from paved roads and concrete. You can also take selfies and candid photos while you’re here. Are you planning to propose to your partner? This place can be the perfect spot. As they say, the stomach is the way to everyone’s heart and who doesn’t agree to that? Since Valentine’s day falls on a weekday, you may not have enough time to prepare for a nice dinner for two. Or you may not have the cooking skill like those chefs at any cooking show. But you can go to a fancy restaurant on this special day. What’s more romantic than an Italian dinner along with a fun conversation? Sambuca Bistro at Laguna Niguel is a fancy restaurant that has a romantic atmosphere for you and your partner. Find this cozy restaurant in a small strip center off Niguel Rd and Clubhouse. They’re usually open at 4:00 pm, which is an excellent go-to place after work. You can choose in a variety of sandwiches, pasta, and seafood fares at affordable prices. Their liquor, beer and drinks selection is perfect for every menu. Their Black Linguine with Lobster and Shrimp is a must-try! When was the last time you had an amazing night out? Sometimes, the best dating venues are places that offer fun parties and drinks sessions. 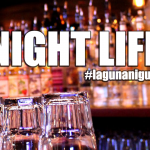 On Valentine’s day, Laguna Niguel has plenty of nightlife for you both. Live music, pool tables, a jukebox and a good selection of craft beers and wines – that sounds fun, right? The Karman Bar offers these facilities for a fun and lively celebration. If you’re up for sports and games, the Signature Sports Bar offers you many options. Happy hours begin at 3:00 pm, and you can have tasty, discounted food during these hours. How about a romantic movie date? Cinépolis Luxury Cinemas can take your movie date to the next level. You can feel comfortable watching your chosen movie here. With its recliners, footrests and full restaurant/bar services, this establishment offers luxury and comfort. Remember, Valentine’s Day is just around the corner, so make sure your bookings and appointments are made early. You don’t want to fail, and we’re behind you. Do you have better ideas in mind? 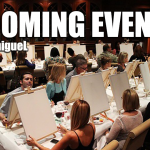 Tell us about your Valentine’s Day plans in Laguna Niguel. Flowers hold uniqueness in their colors and shapes. It also holds true to the meaning they bear. Sending floral bouquets to loved ones pass on as non-verbal messages. The color choice also symbolizes various feelings. Yellow flowers symbolize friendship while white ones are for expressing sympathy. If you want to show love and passion, then send the red ones. As the heart’s day approaches, you might be wondering where to get the best flowers for Valentine’s Day 2019. In Laguna Niguel, expressing feelings through these colorful arrangements is easy. McCool Flower Design Team is one of the best team in the city. Susan, Natalie, Mary, and Carolyn hand-picks the freshest flower for every floral arrangement order. No wonder why this flower is an award-winning business. Their originality and technique attract clients from Laguna Niguel and its neighboring areas. From its founding in 1995, these florists continue to serve Laguna Niguel with its lovely arrangements proudly. You can contact this place for every occasion this Valentine season. They can assist you with customizing the best bouquet you can order. You can bring them home or get delivered straight to your loved ones. Call this flower shop now for more details. Crown Valley Florist is a family-owned and operated a flower shop in Laguna Niguel. It opened 12 years ago and continues to craft beautiful floral arrangements. This place is proud to have its designer that learned from the ‘Country of Flowers,’ Holland. It’s a flower shop that has been working with local hotels, residents and various corporations. With these big collaborations, this place still welcomes orders from individual clients. This Valentine’s day, you can contact this place for a customized flower arrangement for your loved ones. The designs will depend on your taste and price range. Talk about a flower shop that caters to every occasion, and you’ve got La Tulipe Floral Designs. This place proudly serves Laguna Niguel and its neighboring cities. It offers unique designs and carefully crafted floral presentations. With its 20 years of experience in providing lovely floral arrangements, this flower shop became a household name every Valentine season. Whether you’re looking for big bouquets or simple customized arrangements, they can create them for you. Tell them how your loved ones like it, and they’ll deliver them for you. For their rates and design choices, contact La Tulipe. 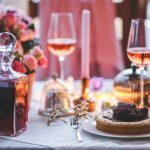 If you’re planning a holiday event, of course, you would want to get the most out of it. With the many holiday entertainers today, having a successful event is no sweat anymore. Some offer unique performances at a reasonable price, while others provide spectacular entertainment for a fair amount of cash. Elaine is the owner of Echoes of Spirit. She’s an accomplished tarot reader and clairvoyant. Her specialization lies in remote viewing sessions. She currently works on two reputable psychic hotlines that our clients all over the world. She said she had found true peace and solace through her spiritual awakening. This awakening has led her down this path in which to guide others via her psychic abilities and gifts. She offers her clients safe and compassionate guidance directed from the angelic realm for their highest good. Have your guests entertained with her team of tarot readers for your holiday party this 2018! You can hire her team for an hour in the local areas for $100 and $150 for other parts in San Diego. There’s a minimum of 3 hours for every event. Call Echoes of Spirit today for some fun and fortune-telling holidays in Laguna Niguel! OCSA Quartet is a group of 4 high school students. They are all studying music at the Orange County School of the Arts in Santa Ana, CA. They are aware of how music has been a big part of all of their lives. With their passion for their shared experience in music, they all want to let others enjoy music too through their performances. They are open to many types of occasions like weddings, birthdays, funerals, and other formal events. J.S. Bock and Kwak is a spontaneous group of musicians with a passion for improvisation. This group consistently enjoys their music with different atmospheres. 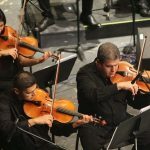 Whether it be a beautiful set through classic acoustic instruments or an enticing electric set, they can move around with their talents in music. They have a knack for surely blowing the roof off by showing off their flexibility by featuring many local talents to front the group and add a celebrated flavor to the strong musical bond of the band itself. Six30Jam is an instrumental trio. The Band’s repertoire is made of original instrumental tunes and cover tunes from Blues, Jazz, Funk to Pop genres. They usually have the cover tunes rearranged to fit what they call the Six30Jam sound. Take a listen to their music on their website. This is a highly diverse and flexible group based in improvisational music. They are available for a more groovy hip hop setting, standard jazz, latin jazz, holiday sets, and swing. If you are interested in being entertained by an intimate, dynamic group that can mold ourselves to almost any style you’d like, they will not disappoint. Anthony Terrezza & Triple Espresso is a 3-4-5 piece band. This band is comprised of concert performers and session professionals. They are all available for your party whenever they are not on tour! Anthony is a known for being extra versatile guitarist/vocalist. He said that he gives 110% to every performance! He surrounds himself with the very best musicians in Orange/LA Counties! Have a fun party with the highest quality musicianship that your money can buy! Note Anthony has performed at The Light House, KSBR Birthday Bash, The Coach House, The Galaxy, Laguna Beach Festival of the Arts, Casinos and Private Parties over his 30 years of music experience. Enjoy a great experience with Anthony Terrezza & Triple Espresso! Professional guitarists Brett Ecklund and Tommy Benson have united to create Jazz Quest. Together they perform sophisticated improvisations on timeless melodies from the golden age of jazz and “jazzify” classic radio hits from the 1970s. The duo also hosts Jazz Quest Radio on KX93.5 FM in Laguna Beach every Wednesday at 9 pm. Mister hypnosis offers one of the bets Comedy Hypnosis Shows and Mind Magic scenes in the region. Let your guests enjoy the comedy and energy of Mister Hypnosis. Contact him now for more details about how he can make your event more lively and entertaining. Travels up to 200 milesRich Hurley’s illusions twist reality into wondrously funny moments your audience will long remember. She offers piano playing bookings for many types of events. You can book her for weddings, dinner parties, and many other events. She’s been a professional pianist since age 16, and now she has had years of experience playing for events. She also plays a variety of styles and repertoire ranging from classical, pop, jazz, and many more. Just let her know what you want to hear, and she’ll play it! Please contact her if would like some samples of something specific you’d love to hear. $159 for the 1st hour! John’s completely self-contained piano/vocal show can be tailor-made to your event! An evening with John at the keyboard can contain almost anything! From The Beatles and Billy Joel to Broadway’s Greatest Hits and Standards from the Great American Songbook. He can offer entertainment piece all performed in his unique style! Hobiball has been in the music years for years. He offers various music pieces that he mastered over the years of his career. Contact him for your formal holiday events and he will be there to spice up the mood. He enters with bells ringing and carrying a bag of gifts for the children and a hearty Ho!Ho!Ho! Call Santa Ed now to know more about his holiday entertainment services.